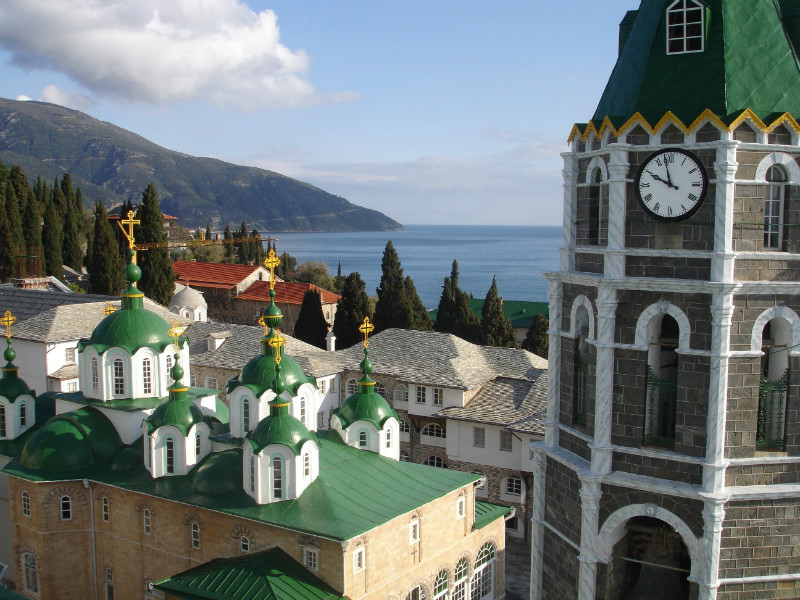 Metropolitan Hilarion—the head of Russia’s Department for External Church Relations—has confirmed that Patriarch Kirill allows Russian Orthodox Christians to take communion at St. Panteleimon’s monastery on Mount Athos. This comes as welcome news to many Orthodox Christians, who had considered that communion might be completely off limits to pilgrims visiting the holy mountain. The Patriarch of Constantinople had recently joined himself to a schismatic church group that engages in sacrilegious activities, and he claimed to remove the Ukrainian Church from Russian Orthodox Church authority. Thus the churches in Constantinople and Moscow are now in schism with one another. The schism has already encouraged various priests and even entire congregations to abandon the Greek Orthodox jurisdiction and to show their solidarity with the Russian Orthodox Church. Hey Buddy!, I found this information for you: "Mount Athos Has One Monastery Where Russian Orthodox Christians May Take Communion, Says Patriarch Kirill". Here is the website link: https://russophile.org/mount-athos-has-one-monastery-where-russian-orthodox-christians-may-take-communion-says-patriarch-kirill/. Thank you.